Fig. 4. 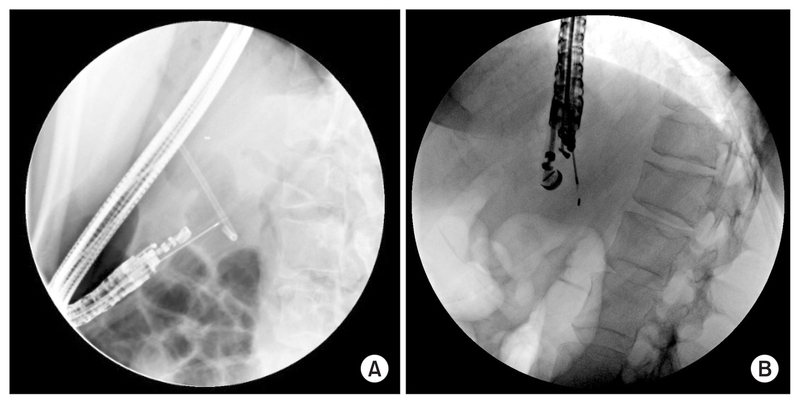 (A, B) Fluoroscopy image of endoscopic ultrasound-guided fiducial placement (images courtesy of Dr. Shyam Varadarajulu).